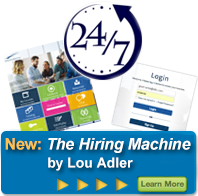 Performance-based Hiring is an end-to-end, four-step process for hiring top talent. It is the only validated methodology that integrates sourcing, screening, interviewing, and recruiting into a seamless approach based on how top people look for, compare, and accept one position over another. Top people are looking for growth, challenge, and learning opportunities, not another job. Since most are fully-employed, they areunwilling to fill out long applications or wade through job board postings to find something better than they already have. While they will explore new opportunities, their process for doing so is far different than that of the typical candidate. It’s more measured, based on an open exchange of information and an evaluation of their long-term and short-term situations in balance. In order to attract and hire top talent, a company’s sourcing, interviewing, and recruiting processes must be modified to meet their unique needs. This is what Performance-based Hiring is about. Even more important, this is accomplished without compromising assessment accuracy or paying unnecessary salary premiums. Hiring the best starts by defining the real work involved, not skills or experiences, but the challenges and critical deliverables expected of a top performer. This is converted into compelling advertising, optimized to be found and acted upon. Well positioned, career-oriented advertising and strong networking capabilities allow a company to dramatically increase the number of top people seen. The performance-based interviewing process involves digging deep into a prospect’s background, looking for comparable accomplishments as well as career gaps and learning opportunities. This sets the stage for recruiting and closing – presenting the job as a career opportunity, not a lateral transfer focused on bidding up short-term compensation. Well-trained recruiters and hiring managers working as a team is an essential aspect of hiring top performers on a consistent basis. Our Performance-based Hiring training programs provide recruiters and hiring managers alike the skills they need to find, assess, and hire more top performers. These programs are offered online and onsite in a variety of different formats. 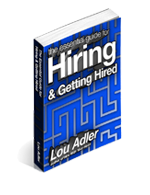 Performance-based Hiring was developed by Lou Adler and is described in his Amazon best-selling book, Hire With Your Head (John Wiley and Sons, 2007, 2002, 1997). His new book, The Essential Guide for Hiring & Getting Hired (Workbench, 2013) has been revised to take into account new online tools. A large portion of the book is devoted to helping job-seekers navigate the tricky aspects of getting the right job. Both books are based on his 40-year career as an extremely successful line executive with Rockwell International and The Allen Group, and as one of the top recruiters in the country. It has been validated and used throughout the country and in many parts of the world by a wide variety of companies and organizations. Some of these include: AAA, Airbnb.com, Atlantis Resort Bahamas, Blue Cross Blue Shield, Canada Post, City of Edmonton, Entertainment Arts, Fairchild Semiconductor, Farmers Insurance, Finish Line, GE, Halliburton, James Hardie, Kimball International, LinkedIn, Masonite, Mercury Insurance, Panera Bread, Pfizer, PG&E, Stryker, Thrivent, UMB Bank, Vans, and Zion’s Bank.